Rent a Cross Billboard for Your City Now! | Lift Jesus' Cross! Multitudes of lost souls are in the Valley of Decision today. If we lift up the cross of Jesus on the roadways of America, people who drive by will be gently reminded that Jesus loves them. The Holy Spirit uses a cross on a billboard to begin thousands of conversations. While it’s true that some people are too busy to care and others are angry at God, there are multitudes of people in the United States of America who are searching for answers. Christian, let’s lift up the cross and show them the way! Read how . . .
Options: Bulletins, Posters, Digital boards, Transit Shelters, and Bus Benches. Locations: Your billboard representative will be able to give you the traffic count for each of their boards based on the daily traffic during a 24 hour period. Rates: Rates are determined by market and length of agreement (4 – 52 wk. agreements), traffic count, and availability. 1. 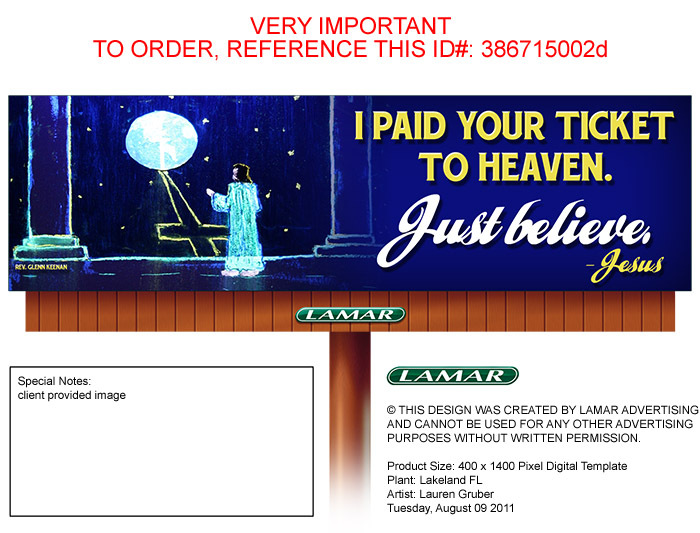 Contact Cathy Hall (863.686.3159/ cahall@lamar.com ). She will direct you to your outdoor representative to discuss area of interest. 3. Choose an outdoor product (bulletin, poster or digital) and location. Your local rep can assist you in finding the ideal location or you can choose. 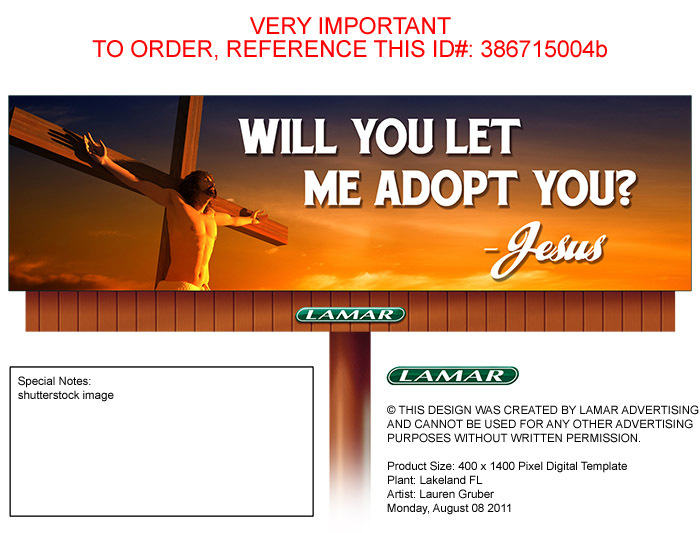 from various groups and send that money to Lamar so the billboard goes up. 5. 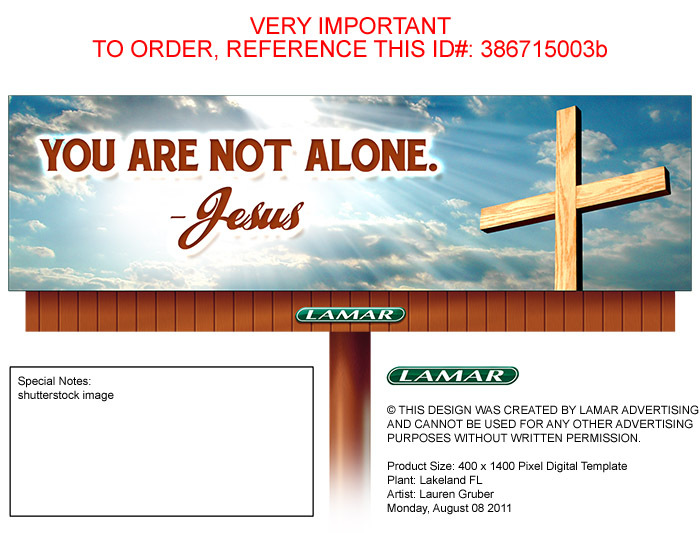 Ask other Bible studies, families, churches, and Christians to contribute one “share” toward putting up the billboard. 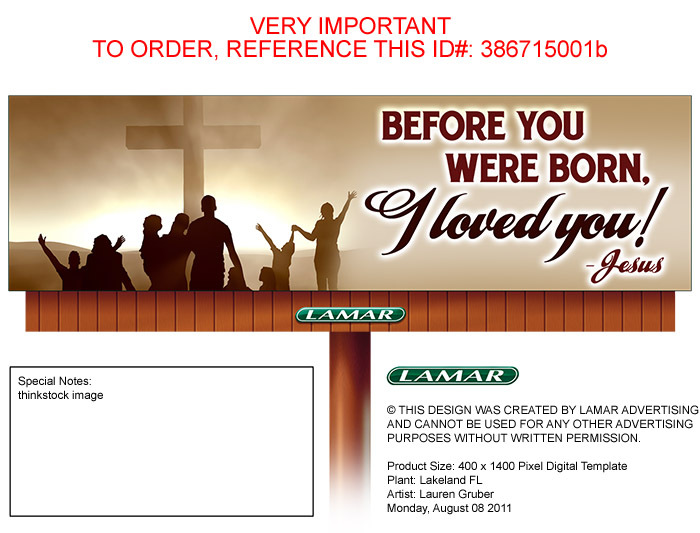 3 Responses to Rent a Cross Billboard for Your City Now!